Next review Bank of America- road to mediocrity!!!! I APPLIED FOR THE MHA MOD PROGRAM IN 2009. 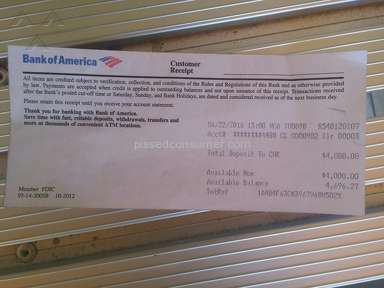 I RECIEVED A PACKAGE FROM BANK OF AMERICA IN JANUARY 2010 THAT I WAS APPROVED FOR THE TRIAL PAYMENTS FOR THREE MONTHS. I WAS TOLD AFTER CALLING AN ASSOCIATE THAT I CAN BEGIN THE PAYMENTS ON OR BEFORE THAT DATE. I STARTED TO MAKE TRIAL PAYMENTS IN JANUARY 2010. WHAT SHOULD HAVE BEEN ONLY THREE PAYMENT HAS NO ACCUMULATED TO 13 PAYMENT. I WAS INFORM AFTER I STARTED MY TRIAL PAYMENTS THAT BANK OF AMERICA WOULD REPORT A DELINQUENCY TO THE CREDIT BUREAU'S, BECAUSE THE TRIAL PAYMENTS WHERE PARTIAL PAYMENT, AND IF I WAS APPROVED FOR A PERMANENT MODIFICATION THEY WOULD CORRECT THE CREDIT REPORT. PRIOR TO THE TRIAL PAYMENTS I WAS NEVER LATE ON MY MORTGAGE. 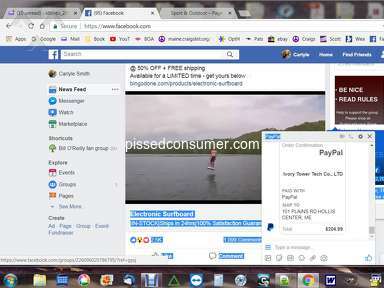 AFTER THE MAKING THREE TRIAL PAYMENT I WAS ADVISE TO KEEP MAKING PAYMENT ACCOUNT IS STILL UNDER REVIEW AND THAT THE TRIAL PAYMENT ACTUAL STARTS ON MARCH 1 TO MAY 1 2010. 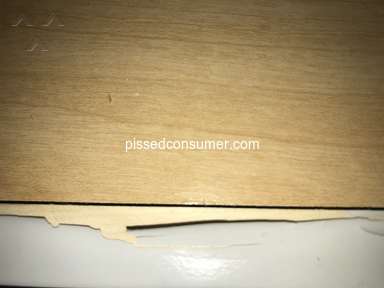 SEVERAL ATTEMPTS WERE MADE TO CONTACT TO INQUIRE ABOUT THE STATUS OF THE MODIFICATION. FINALLY I WAS TOLD THAT I WAS DENIED OUT OF THE MHA PROGRAM BECAUSE I DID NOT RETURN THE CORRECT DOCUMENTS. I TOLD THE ASSOCIATE AFTER RECIEVING 4 OF THE SAME FEDEX PACKAGES WHAT SHOULD I DO , I WAS TOLD ONLY TO SUBMIT ONE SINCE THEY WERE ALL THE SAME AS I COMPARED THEM. AN APPEAL WAS FILE ON MY BEHALF IT CAME BACK APPROVED AFTER 2 MONTH OF CALLING TO GET UPDATES FOR SOMETHING I WAS TOLD SHOULD BE 48 HOURS. I WAS TOLD TO CONTINUE TO MAKE MY TRIAL PAYMENT. I KEPT GETTING THE RUN AROUND AS SO MANY OTHERS HAVE COMPLAINED ABOUT. FINALLY I WAS TOLD THAT THEY WILL BE SENDING OUT A FEDEX PACKAGE REQUESTING UPDATED 2009 TAX, 4506T FORM, 2 PAYSTUBS, 2 MONTHS BANK STATEMENT, HOA PAYMENT,HARDSHIP AFFIDAVIT ETC. IT TOOK TWO WEEKS TO RECIEVE THE PACKAGE BECAUSE IT WAS LOST TWICE, BUT COULD NOT PROVIDE ANY SHIPPING DETAILS. WHEN I FINALLY RECIEVED THE DOCUMENTS ON SEPTEMBER 7,2010 THE LETTER STATED THAT I MUST RETURN THE FORMS BY AUGUST 31, 2010. 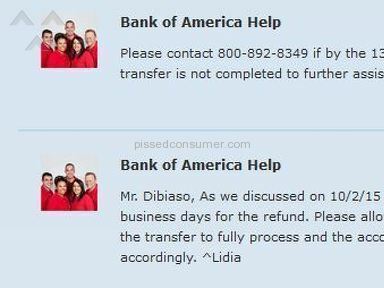 I CALL BANK OF AMERICA TO INFORM THEM THAT THE PACKAGE WAS RECIEVED LATE AND TO ADVISE ON WHAT I SHOULD DO.I WAS TOLD TO FAX THE DOCUMENTS AFTER CALLING BANK OF AMERICA. I CALL FOR ONE MONTHS STRAIGHT FOR THEM TO TELL ME I WAS KICKED OUT OF THE MHA PROGRAM AGAIN BECAUSE THEY DIDNT RECIEVE THE DOCUMENTS. I ASK FOR AN APPEAL I WAS TOLD TO SEND THE FORMS AGAIN JUST IN CASE THE APPEAL IS REVERSED .THEN I WAS TOLD THEY DID RECIEVE THE DOCUMENT BUT ONLY SOME DEPARTMENTS HAD ACCESS TO THAT INFORMATION.I TOLD THE LADY THAT LOCATED MY DOCUMENTS TO FORWARD THAT INFORMATION APPARENTLY SHE DIDNT. I MADE SEVERAL ATTEMPTS TO CHECK ON THE APPEAL TO NO AVALE. THEM CAME DEC 9 I GET LETTER FROM BANK OF AMERICA THAT SAYS"NOTICE OF INTENT TO ACCELERATE". I CALL BACK TO ASK WHAT THAT WAS, AND WAS TOLD THAT IT WAS THE BEGINNING STAGES OF FORECLOSURE. I WAS THEN TRANSFERED TO BANK OF AMERICA SECOND LOOK DEPT. I SPOKE WITH NEGOTIATOR OSCAR ELLIS HE EXPLAINED HE WAS WITH THE SECOND LOOK OR IN HOUSE MOD DEPT. I EXPLAIN MY SITUATION AND WAS TOLD HE DID NOT SEE MY APPEAL FOR THE MHA PROGRAM AND THAT HE WOULD SEND THE MOD TO FREDDIE MAC/INVESTOR. ON DEC 23,2010 I RECIEVED ANOTHER LETTER STATING THAT "WE ARE PLEASED TO TELL YOU THAT WE HAVE RECIEVED THE LAST INSTALLMENT DUE UNDER OUR SPECIAL FORBEARANCE AGREEMENT DATED FEB 9, 2010 , AND IT HAS BEEN CREDITED TO YOUR ACCOUNT REFERENCED ABOUT THANK YOU FOR FULFILLING THIS COMMITMENT. YOU ARE NOW UP TO DATE. AND CURRENT ON YOUR HOME LOAN PAYMENTS. YOU CAN RESUME MAKING YOUR NORMAL PAYMENTS.IF YOU HAVE PAST DUE FEES AND OR CHARGES PLEASE PAY THOSE AS SOON AS POSSIBLE." I CALL TO QUESTION THE LETTER, I WAS TOLD THEY HAVE NO RECORD OF THAT LETTER BEING SENT OUT. IN JANUARY I CALLED BANK OF AMERICA AND SPOKE WITH AN UNDERWRITER IN SECOND LOOK DEPT NAME JAMES "CHIP" BROWN 1-(877)-804-4169 EXT 38518. HE SAY THAT I WAS APPROVED FOR AN INHOUSE MOD TERM ARE THE SAME AS MY OLD MORTGAGE EXCEPT THAT I WOULD BE CURRENT AND MY $1800 PAYMENT WOULD BE INCREASED TO $2145. BANK OF AMERICA IS A BIG FRAUD AND I WILL PURSUE LEGAL ACTION FOR DECEPTIVE PRACTICES. Review #191388 is a subjective opinion of PissedConsumer191388. This is identical to what happened to me. Can we class action sue their ***? Enough is enough! I am also in the same boak. Dotto to what the initial BLOCK LETTERs. Seroiusly, the people in positions that oversee these banks should be doing something about what is going on. How can the country get out of the economic downturn, especially the real estate crisis if nothing is being done to alleviate the root couse of the problem. I lost my job and applied for a modification. After 14 months, 3 denials for documents they requested and received but didn't work on, and one cancellation for request for information whick they never sent me, I am now left with nothing to do. This country is going very wayward and the earlier we the people did something about it, the better. How is it that a rebound process that has been instituted by the government to attempt fixing this the real estate problem is not being monitored and controlled by the people who set it up. This forum alone is enough proof that the process is not working. Have we come so disfunctional? Remember, if the checks-and-balances that were setup to monitor the success of a process is not being assessed and evaluated, the objectives of the process WILL NEVER WORK. I don't feel like all the typing, but my situation mocks 99% of what the writer of the long statement above says...! B of A needs to be sued but unfortunately many attorney's don't have the resources to do it. Perhaps if enough homeowners continue to make themselves heard B if A's deceptive practices will be revealed and their rights to service loans and/or offerered will be mimimized if not cut off completely. I was contacted by BOA originally because I was falling behind on the mortgage. After 2 months of me calling weekly to check on the modification progress, and being told it was still in review I was told yesterday that it was declined 3 weeks ago. When I asked why each person I called kept telling me it was still under review the supervisor just told me she was "sorry". Foreclosure is scheduled, but I may be able to get an extension. I don't even think it's been advertised, which legally has to be done before they can foreclose. I plan to contact the FTC, anyone else have any luck with this? I work for an Attorney's office in Nevada in the modification department. After 2 1/2 years of working on modifications and short sales it has been my experience - especially lately - that Bank of America specializes in the art of miscommunication and fraudulent practices.. Permanent modifications are not always permanent - extension of sale dates are purposely put off until the last possible moment and the fees and costs for customers that are in arrears are not never explained! They need to change their name to Bank of No Responsibility!!! THIS IS WHAT I AM GOING THROUGH RIGHT NOW. MY LOAN MODIFICATION IS UNDER A SECOND LOOK BY THE NEGOTIATOR. I thought Bac was the subject of a Federal investigation, they should be closed down!